A fragile form, offering great beauty and variety, reverse glass painting has fallen into oblivion in China, with no collections in museums and very few private collectors. Yet this decorative art enjoyed great popularity among collectors and in Chinese households in the eighteenth and nineteenth centuries. In Bolihua, Rupprecht Mayer revives this lost genre of Chinese art, presenting more than a hundred Chinese reverse glass paintings from a private collection in southern Germany. 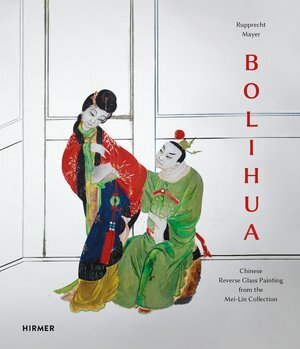 The first illustrated book in the West on this unique art form, this volume explores traditional motifs of happiness, scenes of plays and novels, landscapes, and the changing image of the Chinese woman.